God works all things together for the Good! We have heard it quoted, and tossed around so often that it is easy to let the weight of that truth lessen and lessen. It's a phrase found from Paul's letter to the Romans. I think it is something that is proven true when we look at the Christmas story. Do you remember the circumstances surrounding Mary and Joseph's trip to Bethlehem? A tax collection. The Roman emperor wanted a census taken for tax purposes. Luke records every level of government being involved. More taxes upon an already oppressed people... just what Israel needed. What a wonderful time to celebrate. The strange thing is, that even though this was burdensome to an entire nation, specifically very burdensome to a young, poor carpenter from Galilee and his pregnant fiancée, God used it to bring about a number of fulfilled prophecies as well as bring Jesus to exactly where he needed to be born for a number of things to take place. So the question then is... what circumstances do you find yourself in today? The ones that may not make any sense. The ones that may be hard, sad, and unprovoked. How do you find yourself this Christmas/Advent season? Perhaps not everything is going well right now, maybe you are scratching your head and wondering if God is really on your side? Can I remind you of something? Bethlehem wasn't a 5 star resort. Jesus understands hard times. He was born in a stable. He isn't apathetic to your needs or your problems. Bethlehem was a very humble beginning. Jesus made himself low. He didn't come with power and might. He didn't come as a retributive force. He isn't angry with you. Bethlehem was the last place you would expect God to make himself visible... and yet... there He was... in a manger, visible. He isn't absent. May your hearts be like Bethlehem. May Jesus be welcomed into your life fully and completely. May he not be turned away, because your inn is full. May your life, and your circumstances become mist as you gaze upon the God in a feeding trough. 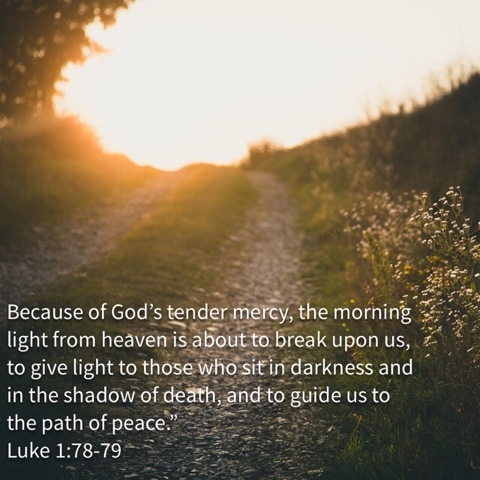 Pay close attention to these words from Luke 1. They are Zechariah's words spoken over his new son John. This is the same John who became known as John the Baptist, that is, the one who God sent to prepare the way for Jesus. 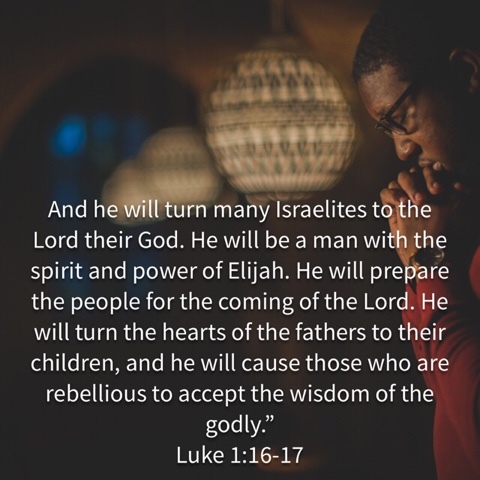 As much as these words are about John and what he will accomplish in his life while serving God and preparing the movement for Jesus' ministry, these words are also about God. God has remained faithful to His people. God is sending a deliverer. God is speaking. The times of silence are over. The times of confusion have past. God is speaking... Are we listening? 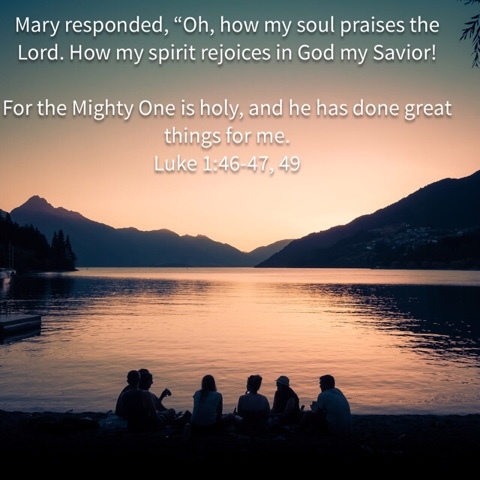 Mary responded to the announcement given by the angel Gabriel with the above song. It is commonly referred to as her Magnificat. Gods message through Gabriel was that God was going to make much of her, that He has picked her. She was chosen. She had been highly favored. God was magnifying her in a way by choosing her to be the mother of the Christ, Jesus. What is very telling and truly beautiful about Mary's spirit is that she in turn makes much of God. She worships Him. Mary stands in the Biblical tradition of Jael and Judith, the other two women within Jewish literature to be addressed as "Blessed are you among women." Moreover, her song (the Magnificat), reflects the revolutionary words of Miriam's song (Exo 15), Deborah's (Judges 5), and Hannah's (1 Sam 2). Furthermore, Mary's commission is very similar to the call of Moses (Exo 3:2-6, 10-12) and Gideon (Judges 6:11-24), both who played a major part in God liberating His people. Protestants have long missed out on looking to Mary as a true role model, both for men and women. Her spirit of submission to God's call upon her life, her willingness to be used by Him in a way that would surely >rob her of her reputation, her strength and dignity that she carried herself with, and everything that went into raising the Savior of the Universe is something to admire and venerate. Out of caution to go too far and worship her as some Christians fall into the trap of doing, we can easily go too far and diminish her. This Advent, I pray and hope that you will see Mary for who she was: a true, humble servant of our King. Let us strive to emulate that. Each day there will be some readings, taken from the Revised Common Lectionary. I will also provide some words to accompany one or two passages to focus our thoughts and time each day. Today we prepare ourselves for the beginning of this journey. Advent is after all a journey, we are pursuing Christ's coming into our world, into our own lives by perusing the Scriptures and allowing those sacred words to mold our thoughts during this time. Today we have one passage to meditate on. The angel Gabriel said these words to Zechariah about his son-to-be, John the Baptist. 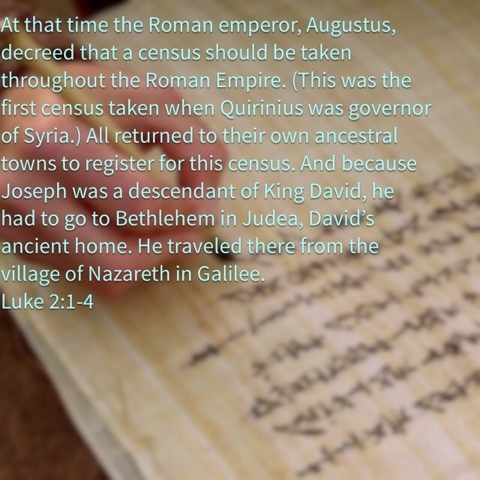 John's words and legacy propelled Jesus' ministry forward. His job was to prepare the people for the coming of Christ. How will you prepare this Advent season? 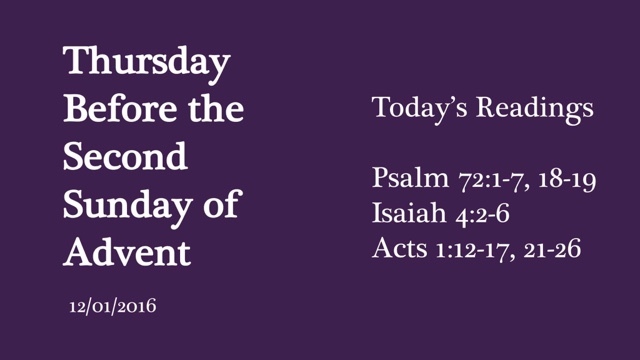 What can you do, what will you do, to meditate upon what the coming of Christ means today? If we did a survey or even just a simple Google search I am sure we would come up with all the obvious ones, as well as some of the superficial ones. Maybe, for you it is WiFi, or at least it seems that way when you can’t seem to ever get a connection. We could go down an endless list, but what I don’t think we would find listed anywhere is hope. I’m not sure anything is more essential to getting out of bed in the morning, and yet it is not something we think of often. In fact, it seems the only time we think about hope is when we feel hope-less. Hope may not be in the front of our minds, but it certainly seems to be everywhere else. We see it on political signs, Hallmark cards, we name our little girls after it. Fifteen cities in the U.S. are named Hope, four more in Canada, two in the United Kingdom, and one in New Zealand. Hope is the name of five movies, a TV network, a computer programming language, sixteen ships in the Royal Navy, a Slovakian Political Party, three different colleges and universities, an island, and a railway station. Except sometimes… we have the hardest time finding it inside of ourselves. The people of the Story, (what I like to refer to the real people who lived thousands of years ago in the Biblical record), needed hope. And they found it, in the most unlikely of places… and the most unlikely of persons. Oh, come, oh, come, Emmanuel, And ransom captive Israel, That mourns in lonely exile here Until the Son of God appear. We are separated from the people of the Old Testament by more than just time. Sure, time may be the biggest issue, but there are other significant cultural, geographical, worldview, and general mindsets that separate us. The angst of life without the ease and comfort that technology beckons us with was categorically different for the people who lived in the Story of Scripture. However, something that is true for all people, at all times, and in all places is that we all need hope. The people of the Story found themselves in a sticky situation. Well, they found themselves there a whole lot. Whereas their situation was deeply spiritual, just like us, they always got caught up with the political, economical, and social issues on top of it all. These people weren’t experiencing a spiritual exile alone, they were also experiencing a physical exile. Something most of us will never experience. But just like us today, where it is so easy to be distracted by all the things we think we could not live without… the Story shows us that they felt that way too. To them it wasn’t an iPhone, it was their land. They didn’t try keeping up with Mr. and Mrs. Jones, but they were trying to communally keep up with their actual enemies. They clung for and longed for the realization of their hope, that God would provide for all their needs. God did not always rescue them from their enemies in the moment. He didn’t split the Red Sea for every situation. Sometimes He let them be dragged away. Sometimes He let the enemy destroy their city, their home, their land… their temple. Sometimes He let Rome invade and subjugate them. Sometimes He allowed them to be exiled even whilst living in their home. How often have we felt that God has abandoned us? We aren’t alone. How often has it seemed that God made a mistake? We aren’t alone thinking that either. The government will rest on his shoulders. And he will be called:Wonderful Counselor, Mighty God, Everlasting Father, Prince of Peace. The passionate commitment of the Lord of Heaven’s Armies will make this happen! This first week of Advent we remember that God provides HOPE in the midst of chaos. He will come through and make every Right and Just. He alone brings Peace. He alone is passionate about His commitment to us. When the storms come… and they come all the time… Our God gave us HOPE to hold on to. At His word, the storms cease. At His Word we find redemption and at His Word, we find our Hope. Interference. Inconvenience. And if your family who will gather this year will be talking about the recent election… Well, intolerance too. But the tradition of Advent calls Christians to slow down and think more about what the season was designed for. Advent is a strange word to us. It sounds incomplete, like someone was trying to say “adventure” or “Adventist” but didn’t finish the word out. What’s up with the strange word and the strange candle lighting thing anyway? Advent, which is the Latin word for “Coming”, is perhaps one of the oldest Christian traditions. 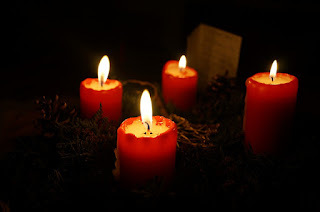 Some suggest it was founded even by the Apostles, that once a year Christians would set aside a prolonged period of time and remember the first coming of Christ, the darkness that surrounded the world so tightly until light came. We do this so we might better prepare our minds and hearts for his second coming… a promise that Christmas gives us. 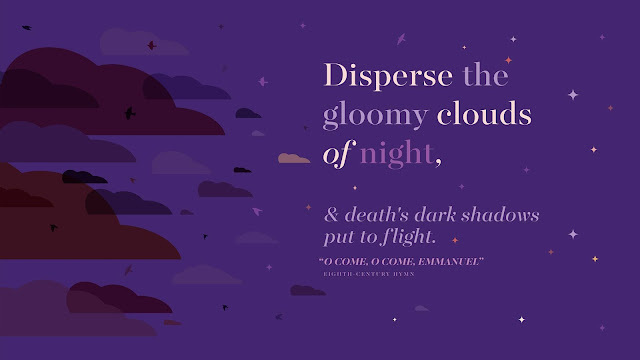 There are three meanings of ‘coming’ that Christians describe in Advent. The first, and most thought of, happened about 2000 years ago when Jesus came into the world as a baby to live as a man and die for us. The second can happen now as Jesus comes into our lives to live and reign through His Spirit. And the third will happen in the future when Jesus comes back to the world as King and Judge. The spirit of Advent is the spirit of humanity fully alive. We are living in an opportunistic, individualistic, consumer driven culture. The calendar has merged into sales peaks. Black Friday has completely engulfed Thanksgiving. Cyber Monday has become every teen’s favorite day of the year, and now I hear commercials trying to push Small Business Saturday. If we don’t take a more aggressive and even offensive stance, we will always end up getting swallowed up by the deluge of what the culture is purporting. If one were to go onto any financial website, all one would read right now are the predictions for the spending of this year’s holiday season and to make sure you get your tax break by giving to charity. We’re living in a culture that’s all about consumerism, and it ends up steamrolling the end of the year. With a blink of an eye all of a sudden, Thanksgiving and Christmas become a blur of craziness. Then we’re left, barely standing, holding a candle at church on Christmas Eve going, “Oh yeah, it really was all about the night when Christ was born.” While the world celebrates Santa Claus, Egg nog, great sales, and high energy festivities, WE reflect on the coming of Jesus into the world. 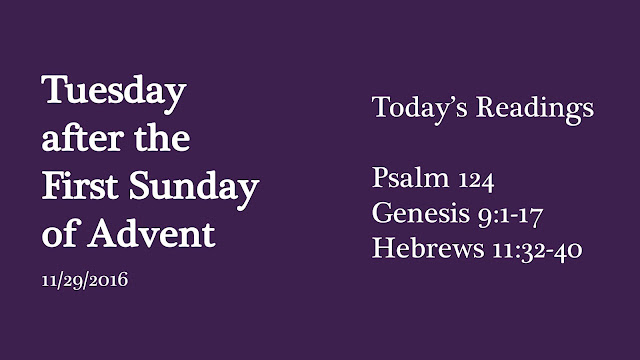 Christians use the four Sundays and weeks of Advent to prepare and remember the real meaning of Christmas. You might be thinking, “We have Charlie Brown for that thank you very much!” And of course by focusing on the true story of Christmas found in Luke 2 we can in fact focus our minds and hearts where they ought to be. But if we are honest, the Christmas season has become less and less about hope, peace, joy, and love and has become more and more about presents, lights, and the color of Starbucks’ cups. When we recover Advent, we are reminded that this season is about a promise that God is going to do what God has promised He is going to do. And He’s going to do that for every single one of us who has put our hope in Him. He came in the same ways He always has. In those moments when we least expected Him, in the most unforeseen ways, and when, whether we realized it or not, when we needed Him most. Every day for the next four weeks of the Advent season I will be posting a short devotional to help gear our minds and thoughts on what is the most important aspect of our faith and our day to day life. Advent is a time for a humility check. It’s been a crazy year. We’ve had very pompous people to look up to in the midst of the election that stretched on what felt like forever. We’ve had a lot of fear to behold as the world seems to continue spinning into darker and darker days. We’ve lost people this year. We’ve broken things this year. We’ve experienced shame and moments of depression. We’ve collectively mourned the deaths of innocent lives, of police officers, of soldiers. We have made mistakes. We have hurt people, and we have been hurt. Some of us have had the best year of our lives, and it is so easy to forget how we got to where we are. 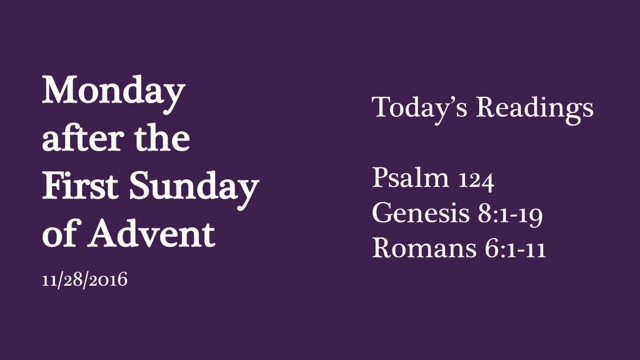 I hope that the devotionals I will be offering you and the readings I will post each Sunday will act as an anchor for your family through the coming weeks to remember the most important, and the most wonderful news of all: Jesus is Coming.